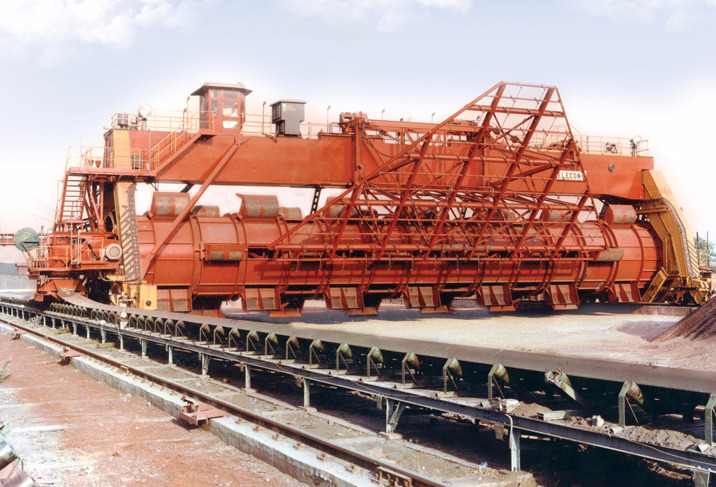 Barrel Type Blender Reclaimer for handling coal, iron ore, lime stone base mixed in steel plants ,This equipment is essential for homogenius blending of verious type or size of materials accross the cross section of the stock pile . Till date ELECON have supplied more then 15 barrel type blender reclaimer to various customers with rail centres upto 37Meters and capacity upto 1500 TPH. 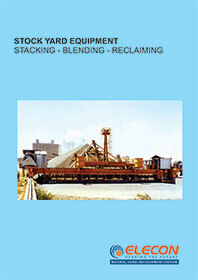 Mobile Transfer car is used to transfer barrel reclaimer from stockpile to another stockpile.